Donald Trump, who has long criticised the international alliance, has never shied away from voicing his concerns - namely that many of them aren't pulling their weight financially. But it's Germany that's really got him riled up at the moment, as you can see in this rather uncomfortable snap of him with Chancellor Angela Merkel. There's two key reasons for that disgruntled pout. One is Mr Trump's belief that the United States spends too much to uphold NATO compared to the other members. 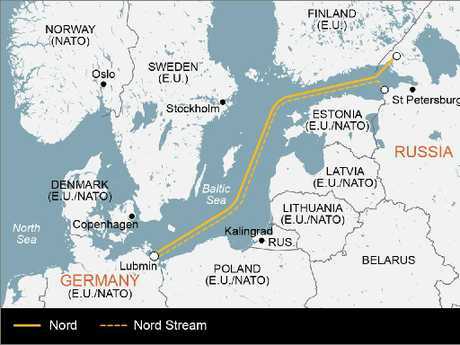 The other is over a giant pipeline construction plan between Germany and Russia. Here's the lowdown. But Donald Trump takes issue with the organisation. He believes America has invested too much of its money into the group, while other countries aren't "pulling their weight". "Many countries are not paying what they should," the President said publicly. "And, frankly, many countries owe us a tremendous amount of money for many years back, where they're delinquent, as far as I'm concerned, because the United States has had to pay for them." He said this problem has "gone on for decades", but credited himself as the first president to bring it up. This is true. What "should" they be paying? We can't measure this with a raw number - there's too great a difference between each country's gross domestic product (GDP). Rather, let's think of this in percentage terms. NATO's current guideline for every country is to spend at least two per cent of their total GDP expenditure on defence. Only four countries - the US, Britain, Estonia and Greece - are exceeding this recommended target, with the US spending the most at over 3.5 per cent, according to last year's figures. A few countries, including Poland, Latvia and France, are close to the target, while others - particularly Luxembourg, Belgium, Spain and Slovenia - are falling well short of it at less than one per cent. Mr Trump's argument here is that the US military has always had to spend more to compensate for the NATO countries that spend less. But to suggest the US can "bill" other countries for filling the gap in previous years is ludicrous. That's just not how an alliance works. "We are asking NATO allies to invest more in their OWN national defence budgets. There are no past dues. No one is delinquent. It's not a country club," said Julie Smith, a European security expert who worked under the former Obama administration. If we strip this right back, it's kinda true. The US does spend a lot more than its allies on defence. NATO itself acknowledges an "over-reliance" on the US. But to suggest the US is giving away all this free money and getting nothing in return is false. 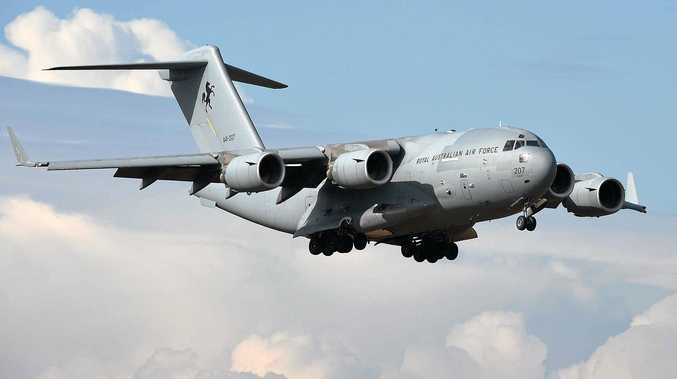 NATO partners argue that the US gets increased global security out of its spending. Mr Trump does not acknowledge that NATO partners are expected to defend the US if it's threatened. Article 5, the collective defence portion of the North Atlantic Treaty, has been invoked just once - following the 9/11 terror attacks. Remember how Mr Trump said "many countries are not paying what they should"? Based on NATO's statistics, Germany falls squarely into this category. The 29 countries' median defence expenditure is 1.3 per cent. Germany sits at around 1.2 per cent. Germany is Europe's most prosperous country, and the second-largest contributor of troops to NATO missions behind the US. For what it's worth, Ms Merkel has committed to reaching the 2 per cent threshold by 2024. But now in comes the Nord Stream 2 pipeline - ie that eye-catching map which made you click on this story in the first place. Donald Trump is not happy with this plan. Germany is dependent on Russia for gas, serving as its biggest export market, and this new project - which is expected to be completed by 2020 - will double this risk. Can Western Europe trust Russia? Even if it doesn't, is engaging with Moscow a better or more risky strategic move? Does working with the Russian Government on such a big project pose too great a security risk? Will this project drive a wedge between Germany and other Western nations? This leads us back to Germany's NATO spending. "We're supposed to be guarding against Russia, and Germany goes out and pays billions and billions of dollars a year to Russia," Mr Trump said. He accused Germany of being a "captive" of Russia, suggesting its actions were hypocritical. The validity of Donald Trump's concerns depends on who you ask. "America First" is a staple of his presidency, and his supporters tend to share his belief that other NATO members need to up their game if the US is to remain a member. Some analysts argue Mr Trump has long demonstrated a problem with Germany, from openly criticising Ms Merkel's immigration stance to complaining about too many German cars on American roads. According to Politico, Mr Trump may believe that Germany has taken advantage of the US and its key role in Europe's economic union. Germany also argues Mr Trump's motivation in countering the pipeline is getting the European country to rely more on US energy exports. Meanwhile analysts argue it's more personal than that; that Mr Trump takes issue with Ms Merkel specifically because she was one of former president Barack Obama's favourite foreign leaders. While it's too soon to say, there's a fair chance the organisation would collapse if the US was to leave. This may compromise the security of Western nations - not to mention create a radical shift in the world's global set-up. There's plenty of evidence to suggest that authoritarian nations like Russia continue seeking to undermine the unity of Western nations, and Moscow would love nothing more than the separation of the US and Western Europe.